It may be still relatively warm this autumn in Australia, but there's no doubt winter is coming! As we spend more time indoors during the cooler months of the year, many turn their attentions to getting cosy in bed. Here are three ideas in bed furniture for those contemplating a new place to sleep. Arflex have had another successful year at the 2014 Salone del Mobile, and have added new pieces and additional products to existing collections, which are now available in Australia. Bernhardt-Vella’s Suite bed creates practical elegance through the padded fabric houndstooth check headboard with leather piping. 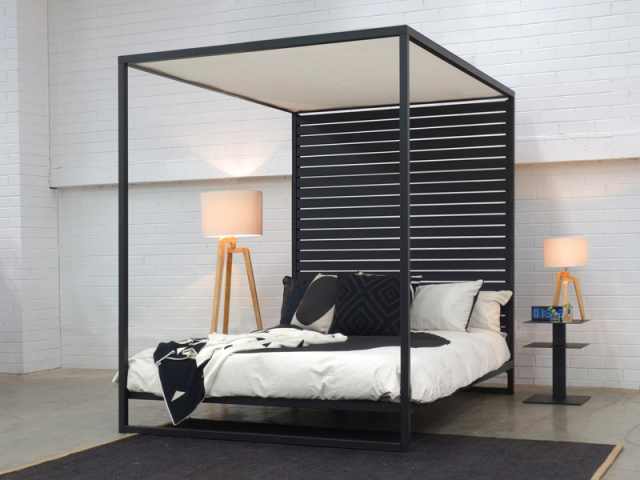 Designed and made in Melbourne by Aero Designs, this modern take on the traditional four-poster queen bed sees an elegant steel frame run into a bold slatted bedhead with a fabric awning in either black or white. The Ralston Queen bedhead from Heatherly Design Bedheads includes a piped-side profile detail with options of buttoning and contrast piping. 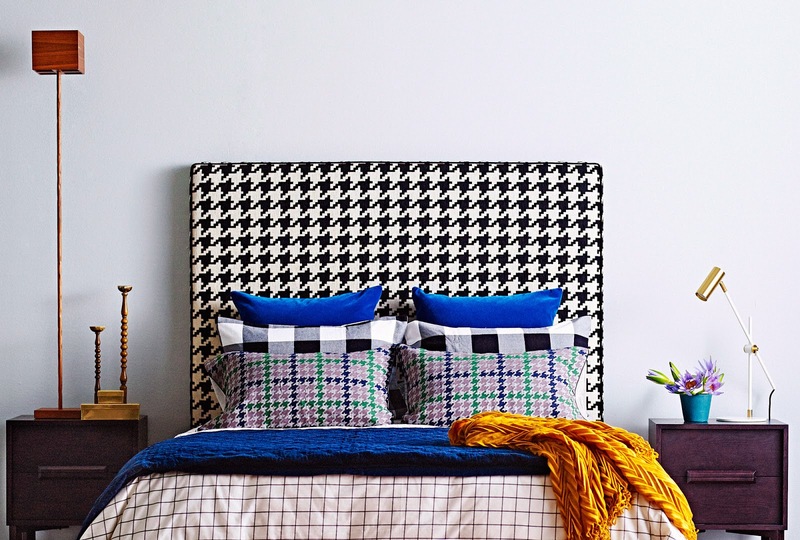 Dress the bed in various check patterns to striking effect.